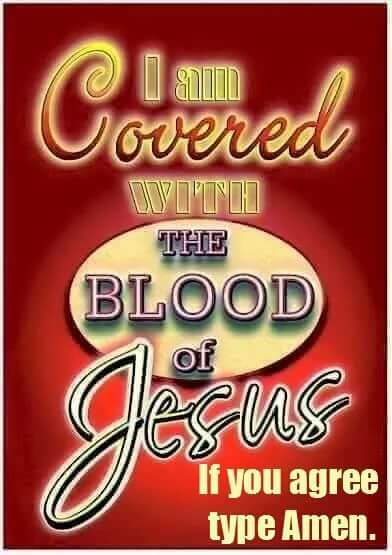 Yes, I embrace the Blood of Christ, It was because Jesus’ of sacrificial blood I have been washed white as snow. I am now covered, soaked, & enveloped, surrounded, wrapped, encircled, engulfed, encased, cloaked, penetrated, impregnated, superimposed, soused, drenched, steeped, submerged, immersed & veiled in the blood. The blood that permeates my being inwardly & outwardly with the ever increasing & inflowing blood ofJesus Christ from heaven that nevers shall loses its eternal purity, holiness, power, potency, effectiveness & His life in me. This I do know I am totally covered in every cell, organ, my DNA etc by His blood that makes me whole. Thank you Lord Jesus Christ for your Holy Blood !